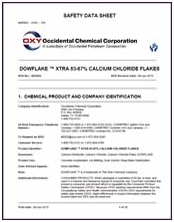 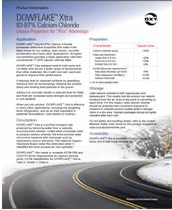 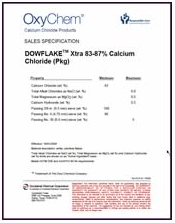 DOWFLAKE™ Xtra 83-87% Calcium Chloride Flakes have 10% more calcium chloride than conventional flake calcium chloride products. 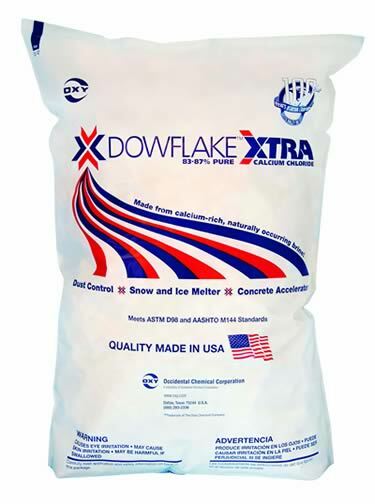 They provide more pound-for-pound performance when used for snow and ice control, dust control, road construction and maintenance, concrete acceleration and tire weighting. 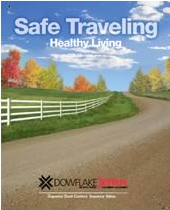 Call for a trucking price for 18 pallets delivered anywhere!